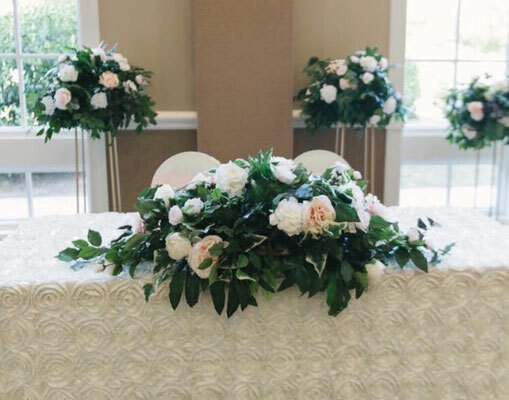 Decorations and flower arrangements can get a little bit expensive, so why buy when you can rent? 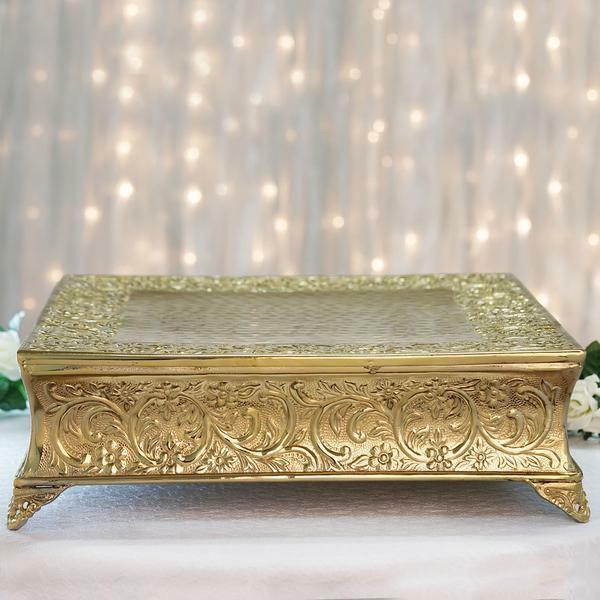 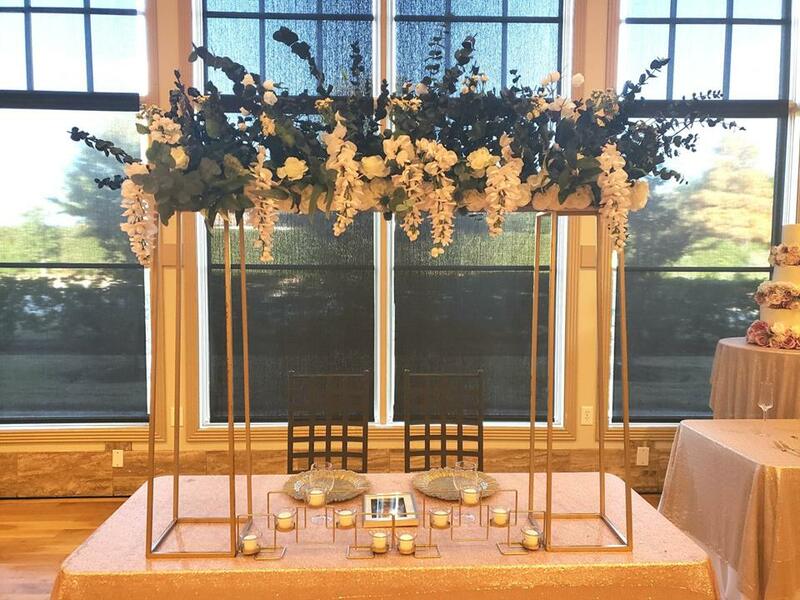 We offer beautiful gold bases for your special day at an affordable rate. 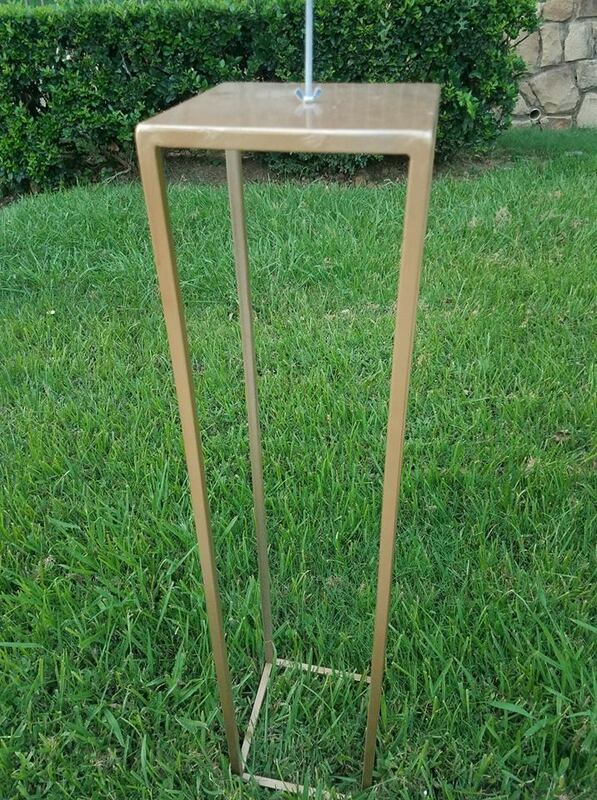 We have 20 tall gold bases available that are 36 inches tall with an 8X8 inch top and base and 2 tall gold bases that are 39 inches tall with an 8X8 top and a 10X10 inch bottom.The bolt on top is removable and can be used to attach arrangements or decorations on the top if you want to use it. The rental for the tall bases is $15. 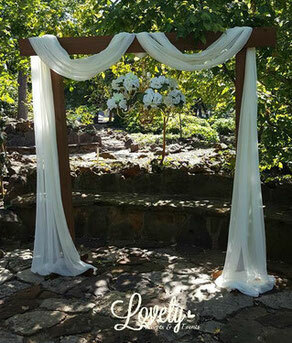 Please contact us to reserve your date. 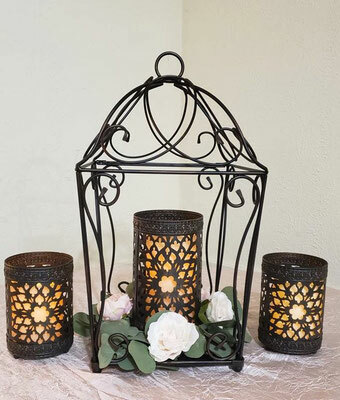 Candles and votives are perfect to create an ambiance on your special event. 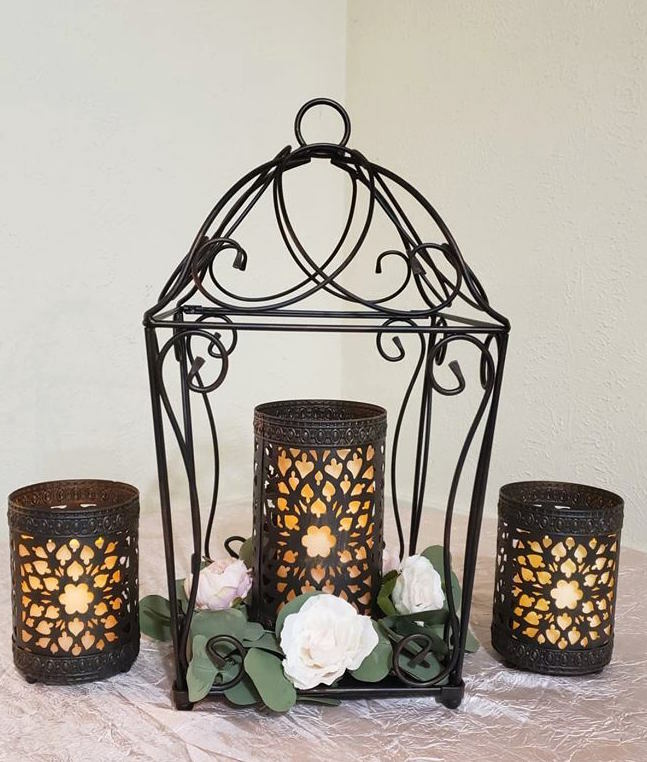 You can save money and use them as center pieces by themselves or in the center of a beautiful greenery wreath. 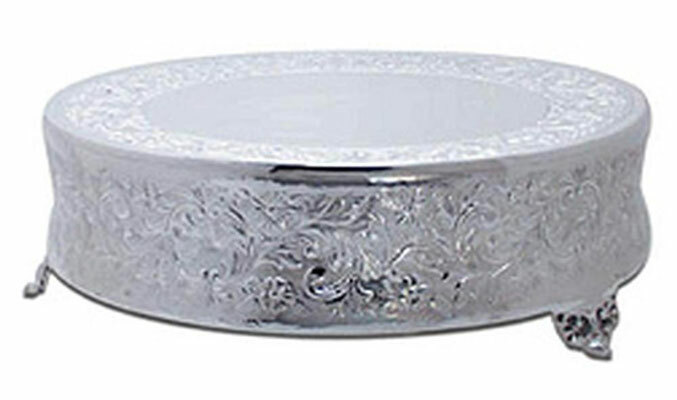 Also they can be an elegant touch to the gift and signing table or even the dessert and buffet table as well. 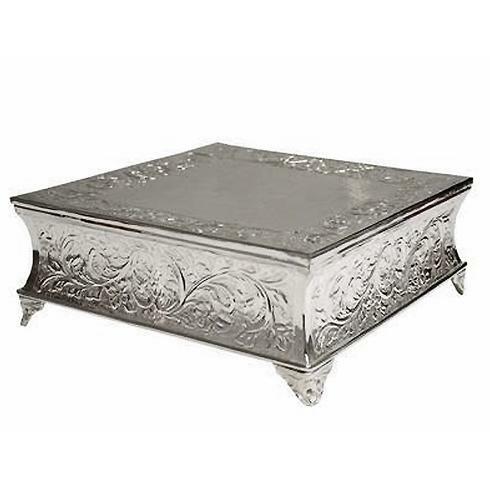 You can rent these metal bases/votives for just $1.50 each. (The candle is not included). 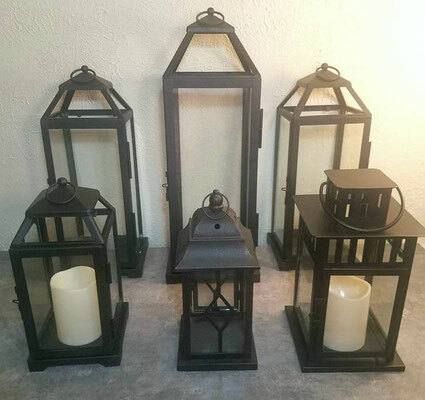 Lanterns are a beautiful option to decorate your special event. 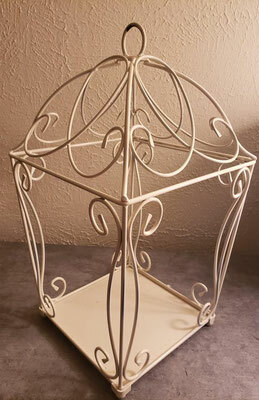 They can be used to decorate entrances, tables, stairs, aisle, be hung on shepherd's hooks, or even trees. 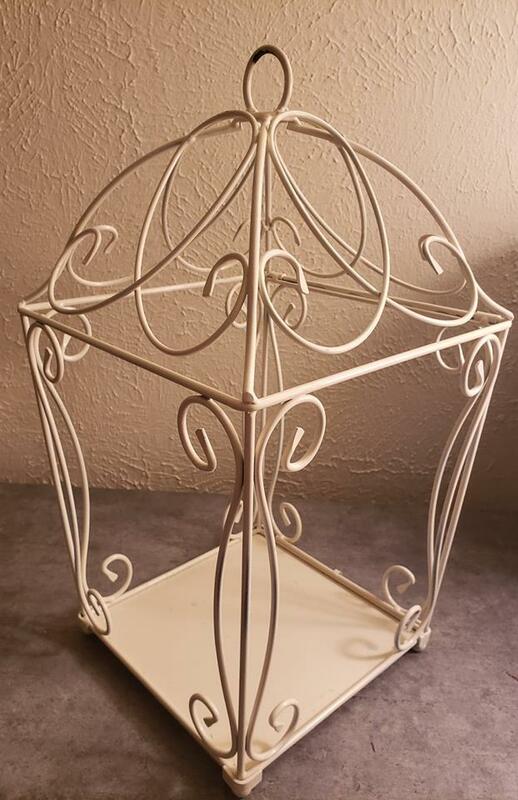 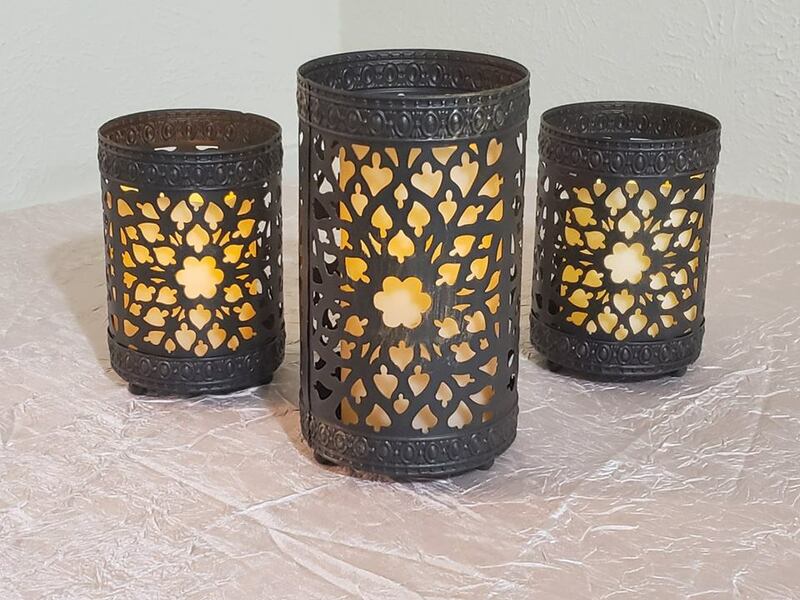 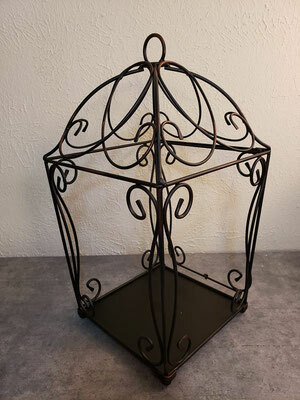 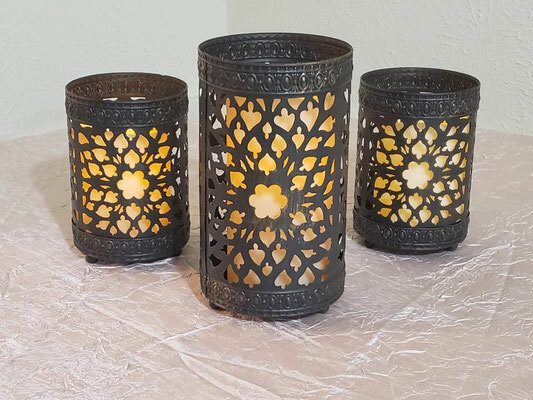 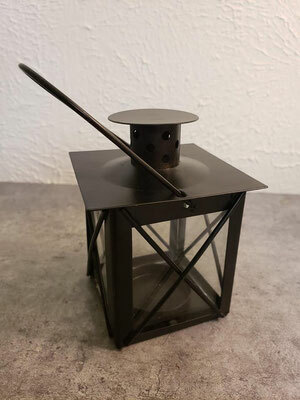 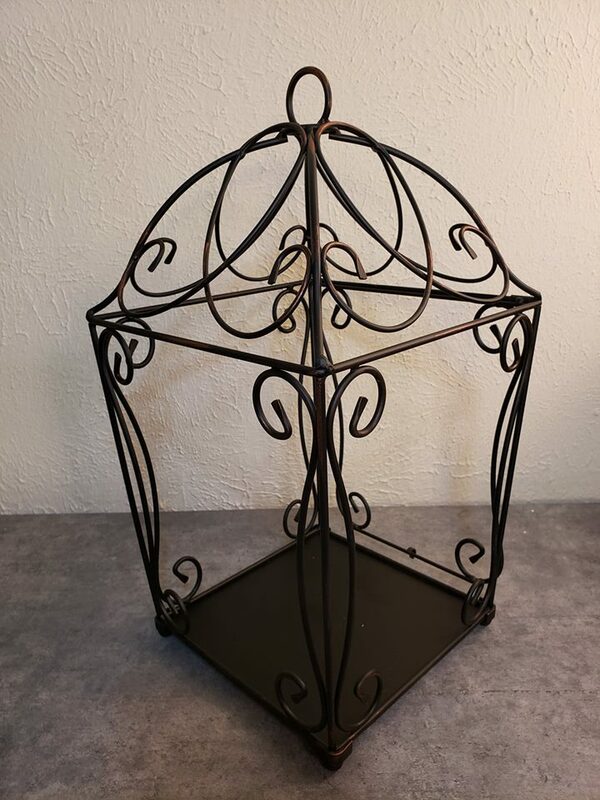 Rental starts at $2.00 for tea light lanterns, $5.00 for medium & large lanterns. We have different cake stand styles for your next event.